No HTC Thunderbolt this Week as Verizon Prepares for the iPad 2 Launch? Probably shouldn’t mark this Thursday (March 10) on your calendar as the official release date for the HTC Thunderbolt, even though a lot of rumors suggested that it would finally be the day. 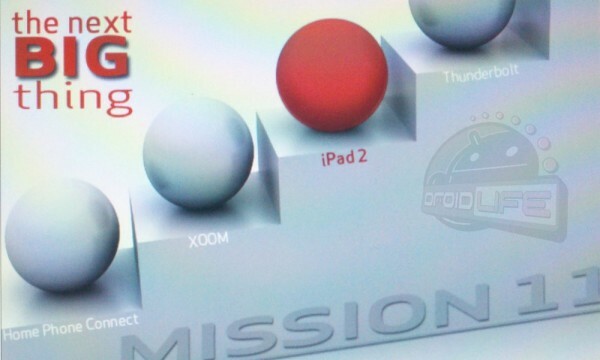 According to this pretty Verizon chart, it looks like they are throwing all of their time and planning into the iPad 2 launch which we all know is this Friday (March 11). Yep. We’ll now set our sites on St. Patty’s day which is March 17 (next Thursday). Panda knows all. How to: Find the Honeycomb Bee Easter Egg "REZZZZZZZ..."